Not just dreamers, but achievers! We, moms, are always looking for delicious, healthy and easy recipes for us and our families. Recently, I’ve learned a new recipe from one of my relatives. And I was amazed how easy and very delicious it was. 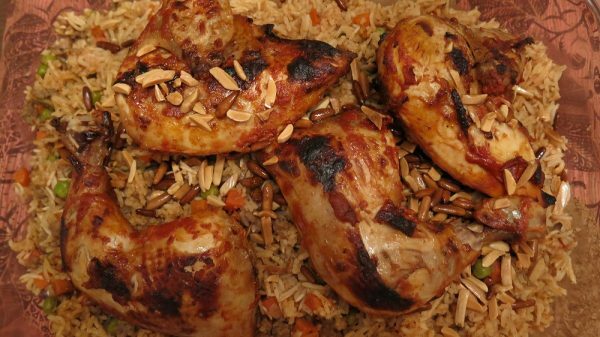 I will be sharing with you the recipe in this post: Rice with peas, carrots and grilled chicken. Add the yogurt, lemon, mustard, tomato paste, vinegar, olive oil, salt, pepper and chicken seasonings into a bowl and mix them together. In a pan, add the vegetable oil, onion, and cloves of garlic and deep fry them with stirring until they become golden-brown. 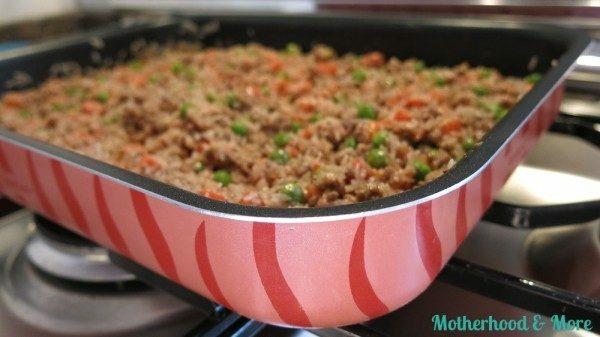 Add the minced meat into the pan and add the salt, pepper and meat seasonings and stir it until it becomes brown. Add the rice into a tray. Then add all the ingredients (carrots and peas, tomato paste, oil, clove, chicken broth, curcuma, minced meat (if you prefer), salt and pepper to taste) then mix them together. After mixing all the ingredients, add the water to the tray. (Add an extra cup of water if you added minced meat). 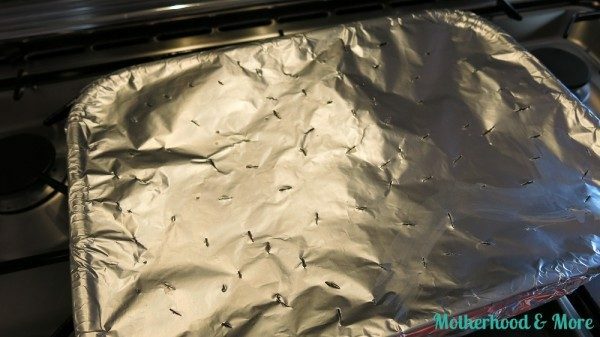 Cover the tray with two layers of aluminum foil and make small holes in the foil. Make sure there is enough space for the rice to expand. 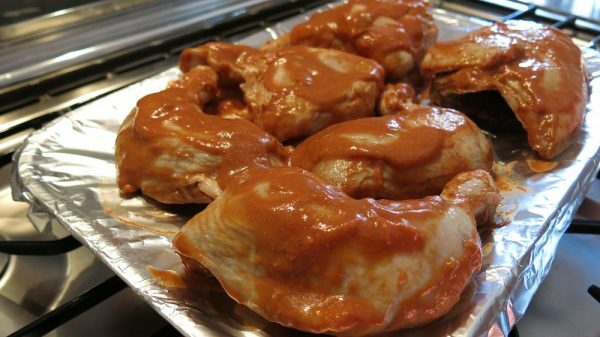 Now, place the marinaded chicken above the aluminum foil that has the holes. Cover the chicken with one layer of foil. Cover the chicken with one layer of foil. 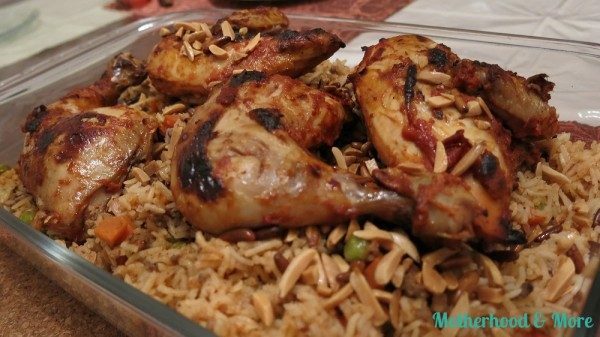 Finally, place the tray in a pre-heated oven with 200 degrees C. for 10 mints, then change the heat to 180 degrees C. and leave the tray for 50 minutes. 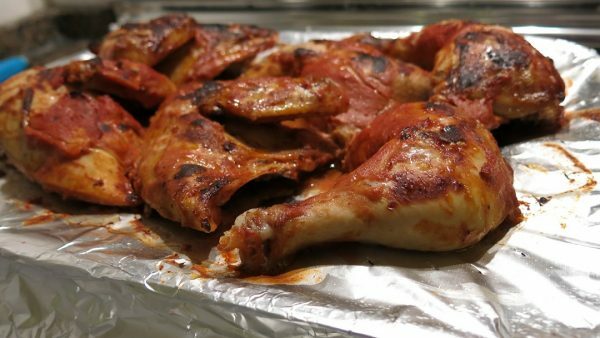 At the end you can remove the aluminum foil covering the chicken and grill the chicken to have a nice grilled taste and look. Serves hot. You can add some nuts for decoration. Bon appetit! My favorite baby oatmeal recipe: Simple, healthy and delicious!